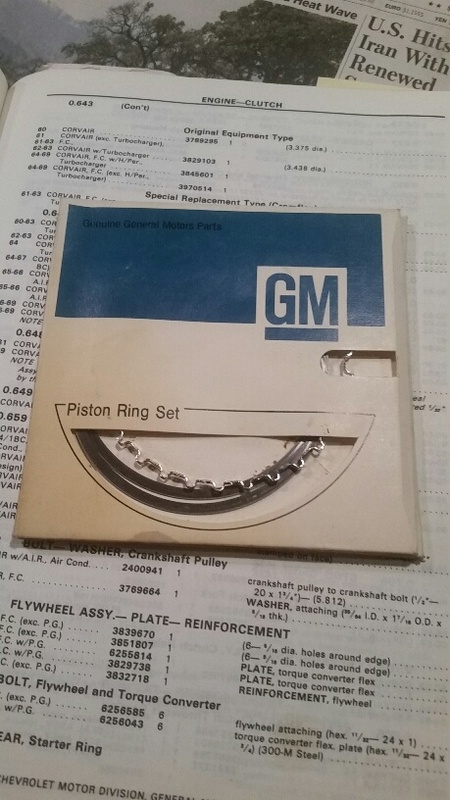 I'm looking for an NOS piston ring set for a late model - STD size of course, that's all GM sold. PN 3845601 or 326331. (possibly 3970514) This is to complete a set of 5 that I already have. Edited 1 time(s). Last edit at 08/07/2018 08:14PM by MattNall. I will check my stash, I have various broken sets of GM rings like that,Not sure if I have that one though? but if someone else finds one please help Craig out! Edited 1 time(s). Last edit at 08/07/2018 08:43PM by davemotohead. Great. Let me know. Either of the first two numbers (same part, different P/N) preferred. The third number is the lo-po ring set and doesn't exactly match the five I have.